As an artist I’ve had many cities and towns across the United States which have inspired me over the years but no city continues to inspire me more than my home town of San Diego, California. 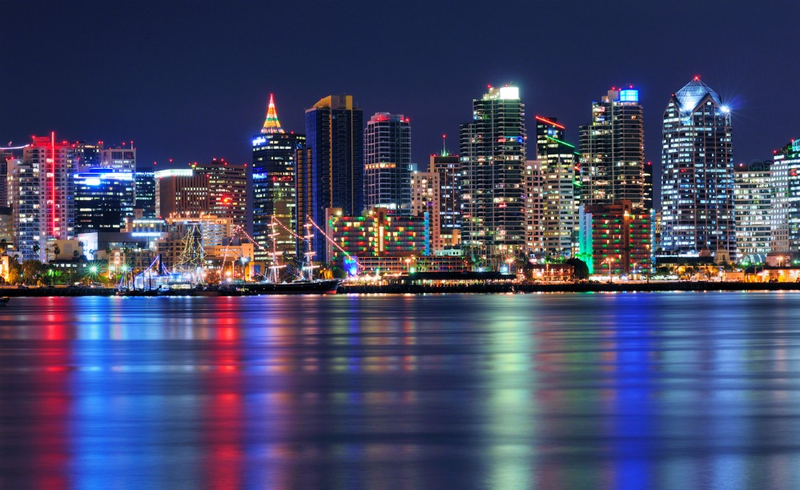 San Diego is not just a “pretty” place to live since the city gets close to 365 days of sunshine per year, it’s also a great city for artists and a great destination if you’re searching for inspiration for your next paintings. One of the first places in San Diego I became inspired as an artist is Chicano Park. Located in the Barrio Logan area of San Diego, Chicano Park has an awesome history which has been documented by murals painted by local and nationwide artists over the last 40 years. I first visited Chicano Park when I was in my late teens and was hooked by the artwork, colors and designs which make the highway bridges appear to be abstract sculptures. Even though I was a white boy painting in the Barrio nobody messed with me thanks to my friend Jose Cervantes who was a legend at Chicano Park and instrumental in helping the park to become what it is today. My second great love in San Diego is Balboa Park. I’ve been visiting here since I was a baby and know every path, tree and museum like the back of my hand. One of my fondest memories was attending an MC Escher show at the Museum of Art with Joe Cervantes and leaving the show so inspired by Escher’s art that we drew on the sidewalk after we left the museum. Last of all, but most important, another great spot for me to paint and be inspired in San Diego is the harbor area. I love painting down there because I can always count on a steady stream of people walking by who will take the time to express an interest in my artwork. I’ll never forget painting down there in my early 20’s when all I wanted to do was paint and nothing else. Like most artists in their 20’s who live in Paris I grabbed some wine, cheese and my art stuff then took the journey by trolley downtown to the waterfront where I spent the day painting a harbor scene.